Moosic, Pa. - Your mom. Your neighbor. Your son. A classmate from long ago. Any one of them could be among the local heroes honored by the Scranton/Wilkes-Barre RailRiders (Triple-A/New York Yankees) during the 2015 season thanks to the team's Hometown Heroes Program presented by MetLife. The RailRiders are calling for nominations for the initiative that will salute those that have exemplified excellence in public service. Those with service time in the military, police force, fire department, emergency medical service, volunteer activities or other related fields are eligible. Each 2015 home game will spotlight these local heroes with recognition on the video board at PNC Field, the opportunity to throw out a ceremonial first pitch, and four field reserved seats to enjoy the game. 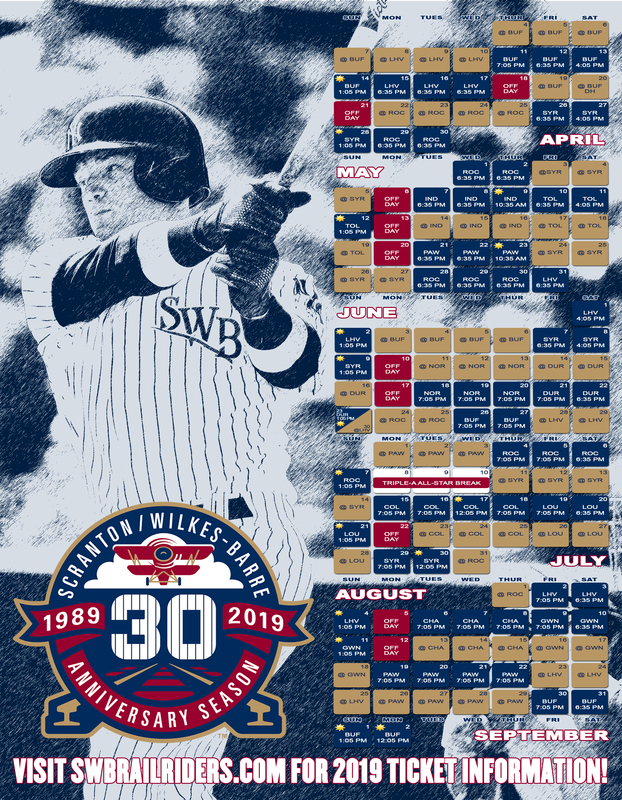 Entries can be sent by e-mail to HometownHeroes@swbrailriders.com or to the RailRiders' front office at PNC Field, 235 Montage Mountain Rd., Moosic, PA 18507 with special attention to "Community Relations". Each submission should include the potential honoree's name, reasons for his/her nomination, a preferred month to attend for the honor and contact information (telephone number, e-mail address and a mailing address). "This is our way of saying thank you to those that serve," said Rachel Mark, the RailRiders' community relations director. "It also allows us to show our respect and gratitude for the sacrifices so many of our neighbors make on a daily basis."